Sen. Elizabeth Warren (D-MA) is set to announce her 2020 presidential campaign from the historically significant Lawrence, MA. In the early portion of the 1900s, the bustling mill town was known for the advancement of fair wages as well as being a welcoming hub for legal immigrants. Yet in the 21st century, Lawrence is known for something more nefarious; it is the "clearing house for illegal drugs" brought into a region ravaged by the opioid epidemic with narcotics often trafficked by illegal aliens. The town located on the Merrimack River is replete with political symbolism and activism. Historians, feminists, and Big Labor activists recall the 1912 women-led strike against mill owner's after the reduction of wages in response to a new law limiting weekly working hours. These women staged walkouts and forced mill owners to pay fairly which in turn bolstered union support. As David Rutz of The Washington Free Beacon notes, this was "[c]onsidered a landmark moment for unions, the strike received national attention and eventually prompted federal investigations into brutal working conditions and pay raises for workers around New England." With the backdrop of these organized labor victories and the city's high immigrant population, it makes for a picturesque scene for the progressive Sen. Elizabeth Warren's presidential launch. 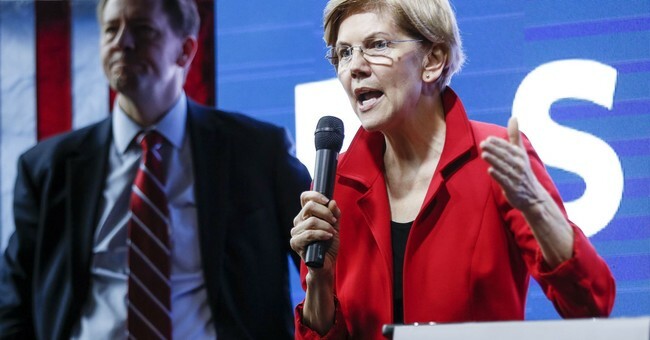 But, the current political and cultural reality of Lawrence seems far better to help President Trump's stance on illegal immigration and serves as a staunch rebuke of Sen. Warren's views on federal agencies such as Immigration and Customs Enforcement. In the past, Sen. Warren has said America needs "to rebuild our immigration system from top to bottom starting by replacing ICE with something that reflects our morality and that works." But, ICE actually works very well in conjunction with other agencies who are trying to rid American streets of dangerous substances that have led to the deaths of at least 1500 Massachusetts residents in 2018 and an estimated 50,000 overdoses nationwide in 2017. ICE's success is evidenced by an October 2018 multiagency drug sweep through the city of Lawrence which resulted in the arrest of 50 people, including 13 illegal immigrants, as well as the seizure of 20 pounds of fentanyl -- enough to kill half of the Bay State. At the time, U.S. Attorney Andrew Lelling told the Boston Herald, “Lawrence is a clearing house for illegal drugs pouring into New Hampshire and Maine via 93 and 495." The Herald noted that the Department of Justice led the bust officially known as the "Project Safe Neighborhoods initiative." It "involved over 200 federal law enforcement agents and targeted repeat criminals that had prior convictions for violence, drug trafficking, firearm offenses or records of being in the country illegaly." Based on the previous admonishment from the Massachusetts senator, it seems to be a safe bet Warren will not praise law enforcement for their heroic work led in part by stopping illegal immigrants in Lawrence and elsewhere from dealing opioids which in turn kill citizens. Nonetheless, Lelling's October press conference can tell the American people what they really need to hear about former mill towns that the left will not tell you -- "What the people living there need is help and support. What they don’t need is drug dealers selling kilos of fentanyl and felons brandishing guns," Lelling told the media at the time.